We always need your help and skills. This club is run with the time and generosity of its fabulous club members. The level of help can range from helping with the organisation of full-scale and high profile events all the way down to taking a register at Henleaze Lake during open water swim training sessions or even cake baking! Please have a look through the details below and, if you are able, put your name down to help out where you can. What could be nicer than packing a flask of your favourite hot beverage and relaxing beside Henleaze Lake from 09:30 to 11:00 on a summer* Sunday morning while your club mates swim in the refreshing waters? As part of our unique arrangement with Henleaze swimming club (no other club is granted such access), we need to provide at least one non-swimming member to oversee the lake swim session each week. If you would like to be one of these people then please have a look at this news item or just get in touch with Coaching through the website. *The word “summer” offers no guarantee of the type of weather you may experience on any particular Sunday. 2018's biggest single volunteering event of the year. This is a self-contained event held at Henbury Leisure Centre. We need volunteers on site from 09:00 to 14:00. If you would like to help at this race please get in touch with Juniors through the website. We need to provide a lifeguard for the Wednesday evening swim sessions at Badminton Pool. While we have some cover, it would be very helpful to have a team of suitably qualified lifeguards for this session. If you are interested in lifeguarding please get in touch with Coaching through the website. You can join our team of coaches who are all volunteers. In return for the time you contribute we offer reimbursement for ongoing development and coaching courses which will further support the club. We welcome offers from coaches who are already qualified or who are seeking to qualify. For more information, please contact Coaching through the website. The club is managed by a committee made up of elected officers and committee appointed experts (Head Coach, Treasurer) all of whom are volunteers. The elected roles are put to a vote at the AGM in late April/early May each year and are open for nomination. Appointed experts are roles that require specific skills and these roles are appointed by the committee. If you are interested in taking on any of these roles please contact us at Volunteering and we will put you in touch with the current person in that role to take you through their responsibilities. Due to the demands of these roles it is possible that they may be shared positions or devolved into separate areas of responsibility. As part of the recent upgrade of the website, we have identified that we need a team of skilled and knowledgable people to help maintain the on-line presence of the club. We want to ensure that our website, facebook, twitter and whatever other presences we should have keep pace with the wider world. It's fair to say that the current committee are not well enough versed in such things to deliver this alone. If you have skills and experience in "the virtual arts" and would like to be part of a team who will guide and support our virtual strategy please contact Volunteering. Anything Else. Literally, ANYTHING else. As mentioned at the top of this page, BAD Tri is completely run by volunteers and we appreciate all contributions and contributors. Within this group there are a small number of people who ALWAYS step up to help. These people receive recognition through a variety of means (come along to the AGM to hear a full run-down) but we are always looking to spread the load and not put undue pressure on any individual. If you would just like to help with “anything”, have an idea for a useful/fun thing that the club could provide that you are happy to run or you would like to offer support to existing events then please get in touch with us at Volunteering. 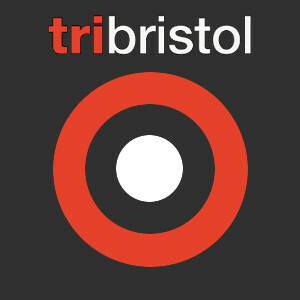 BAD Tri is the club that it is because of the volunteers who give their time to everything that the club provides. We realise that you are giving up your time to help and we thank you and love you for doing so. You are ACE!